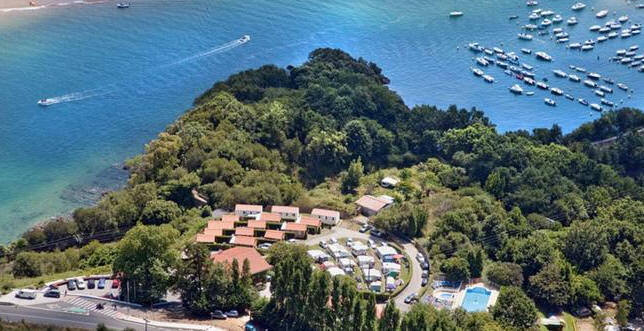 Campsites Basque Country Prepare for your holidays by reserving your accommodation using these contacts. Each simply decorated bungalow at Camping Etxarri has heating, a flat-screen TV and a sofa bed. The kitchenette comes with a fridge and a microwave. The Etxarri has an on-site supermarket. There are also barbecue facilities. 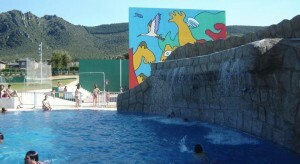 The complex has an ideal setting for hiking and has easy access to Los Dólmones walking routes. Urbasa y Andía Natural Park is less than 6 km away. 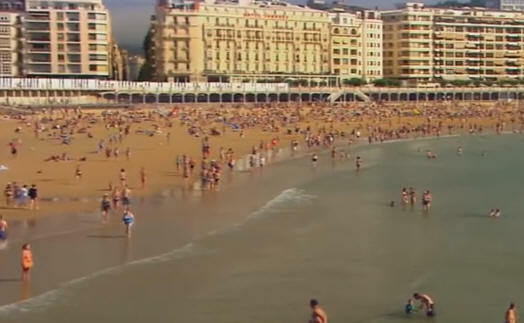 Click above for Discounted prices of Hotels in San-Sebastion Spain. The Basque Country has a wide selection of active tourism companies and all types of adventure sport businesses, from the most technical and specialised to the more common forms such as surfing, mountain biking, hiking and bird watching. There are thirteen Long-Distance – or GR – footpaths, signposted and marked out with red and white marks, which make it possible to cross the Autonomous Community in all directions, discovering the frontiers of Gipuzkoa (GR 121), the Alavese Plain through the route along the side of the mountains (GR 25) or the Urdaibai biosphere reserve through GR 98. There are also Short-Distance – or PR – footpaths, signposted with white and yellow stripes, which allow you to complete shorter routes which are accessible to the general public, but with a similar theme. Cycling enthusiasts have 130 kilometres of Greenways which have been opened up, nine roads recovered from old railway lines which had fallen into disuse. Examples include the Plazaola Greenway, which crosses the valley of the River Leizaran, the old Basque-Navarre railway line. The Zadorra Greenway, between the Álava reservoirs, or the Arrazola Greenway, in the surrounding area of Mount Anboto. The Basque coast comprises more than 250 kilometres of beaches, sandy areas, islands, rias, marshes, cliffs, fishing villages and rock formations (flysch) which are unique in the world. The Basque coast connects villages which have economies which are still strongly linked to the sea, such as Bermeo, Ondarroa and Getaria, with other towns which are traditionally tourist attractions such as Zarautz, Lekeitio and Mundaka. One of the symbols of the maritime Biscay is Gaztelugatxe, an island which is crowned by a hermitage and linked to land by a path with steps. Located on the coastline near to the estuary of the Ria of Urdaibai, a natural area which has been declared a biosphere reserve. In Gipuzkoa, it is worth highlighting Zarautz beach, one of the biggest and most popular among surfers, much like the beach of Mundaka in Biscay. Zumaia and its abrasion platform (Flysch), and the wetlands of Plaiaundi, in Hondarribia. In addition to this there are the recently created modern marinas such as Hondarribia, Orio and Getxo. To explore the culture and history associated with the sea, there are numerous models and objects in the Bilbao Maritime Museum, the Fisherman’s Museum and the Naval Museum in Donostia-San Sebastián, among others. Furthermore, Donostia-San Sebastián Aquarium is famous for its eye-catching oceanarium through which a Perspex tube passes which is home to a wide range of species from the Cantabrian Sea. The Camino de Santiago (214.2 km) travels along the entire Basque coast and it is one of the oldest pilgrim routes. The route begins in the port of Hondarribia (Gipuzkoa), recalling the steps of the first pilgrims who arrived by sea.